Donate to support the project. *Please note that we are currently sold out. If you would like to be placed on a waiting list please contact us at 204-586-2236. We will also sell tickets off at the door should any reservations not arrive 15 minutes prior to the show. We are excited to bring to the stage our latest community collaboration. Witness the coming together of a diverse range of artists, community members, recent newcomers and established immigrants. Through the use of dance, music, visual art and storytelling we will come together to explore the themes of displacement and resettlement. NEW BEGINNINGS TEASER from Nilufer Rahman on Vimeo. This unique production will also run in the same space as One Trunk Theatre’s new show Boundary Avenue. Get tickets for them here. Thank you to our amazing funders and sponsors! A $2.50 processing fee will be added to all on-line purchases. As part of a new community-based two-year Mental Health is Everyone’s Health project, Sarasvàti’s artists teamed up with Artists in Health Care, Red Threads Playback Theatre and the Selkirk Mental Health Centre as well as working with multiple community organizations. It has been an amazing process compiling stories and input from almost 400 people. Now join us for the culmination with the world premiere of this inspiring new play! Workshops and research occurred in the fall of 2015 and readings of the work in progress took place in the spring of 2016. Check out the promo video and photos below from the workshop. *Sarasvati Productions engages under the terms of the INDIE 2.2, professional Artists who are members of Canadian Actors’ Equity Association. As part of a new community-based two-year Mental Health is Everyone’s Health project, Sarasvàti’s artists teamed up with Artists in Health Care, Red Threads Playback Theatre and the Selkirk Mental Health Centre as well as working with multiple community organizations. Workshops and research occurred in the fall of 2015 and readings of the work in progress took place in the spring of 2016. The stories we heard from youth in particular were inspiring and powerful. 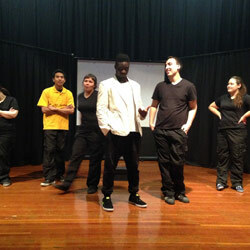 As a result a youth-based play was created for touring to high schools. 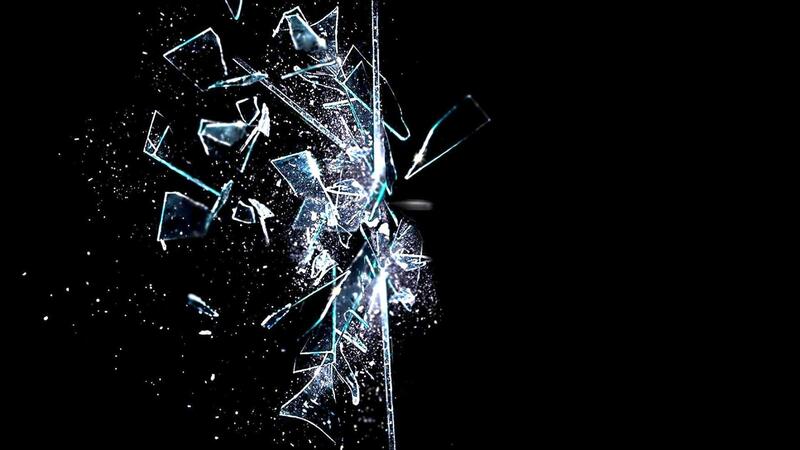 Shattered is the resulting show with a youth focus. With the support of the Winnipeg Foundation and Enterprise Foundation, we toured to high schools in Winnipeg and surrounding areas in the fall of 2016. With Shattered, teens didn’t just see a play, they had a chance to become completely emerged in the story and work together to explore solutions to the mental health challenges the characters face. Over 6,000 people saw the 60 performances over 9 weeks. 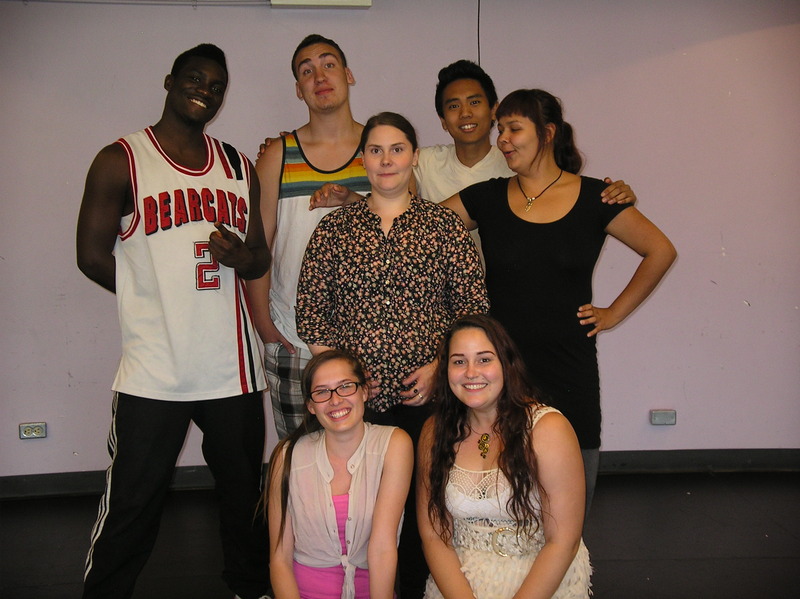 We were honoured to have so many youth share their stories with us as a result of seeing the play. 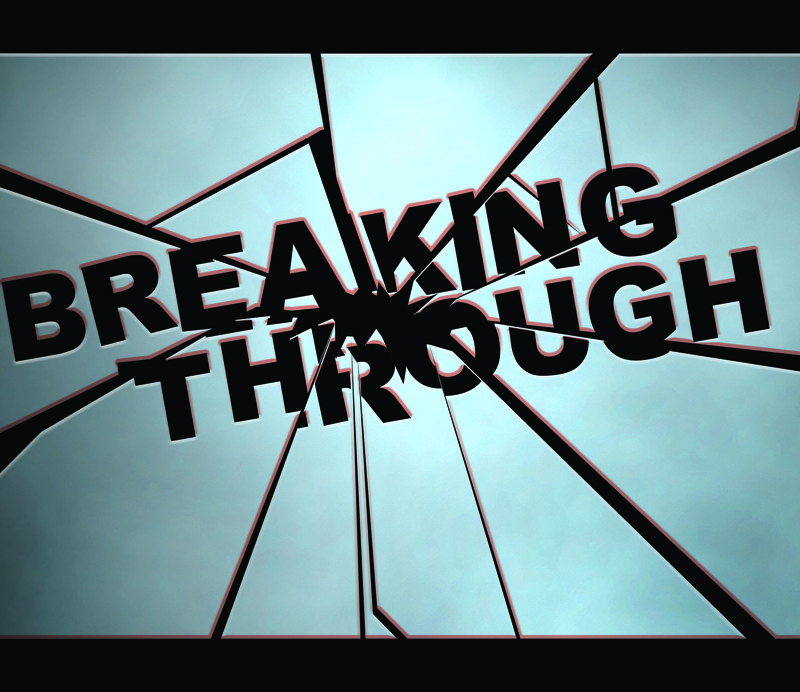 If you are interested in the other components of the mental health project, check out the world premiere of Breaking Through in May 2017. We have just wrapped up a very successful tour with over 4,400 youth seeing the show across Manitoba. Thank-You to all of our supporters, sponsors, audiences and the youth who started it all! Check out the highlight video or our blog with testimonials from students and teachers. Giving Voice is a powerful, interactive theatrical journey exploring the timely issue of how youth experience the system of CFS. Sarasvàti Productions is excited to tour this brand new work created by and about youth in care in collaboration with VOICES: Manitoba’s Youth In Care Network. 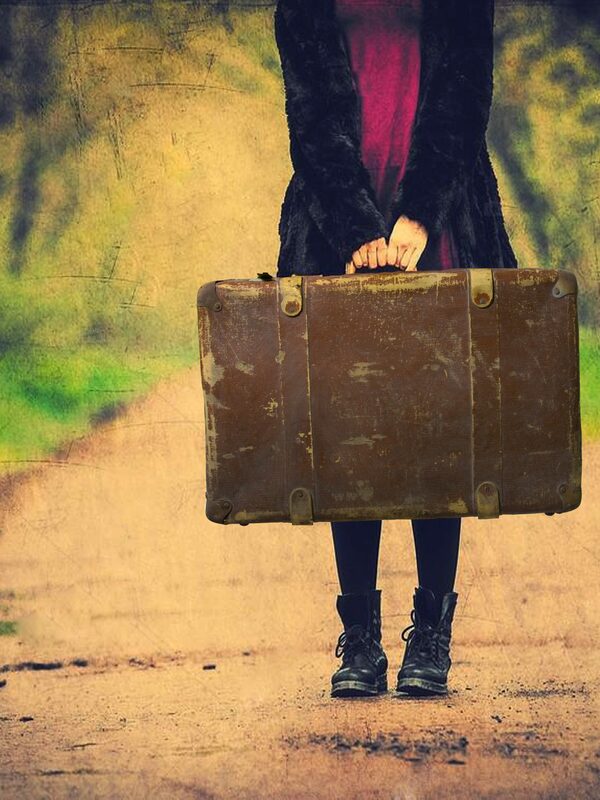 The play documents the journey of two youth as they move through the system. Sally is only eleven when she requests being removed from her family and Josh is apprehended at the same age. Performed in Forum theatre style, it is interactive, allowing the audience a chance to stop the action of the play and step in to try out positive solutions to the problems addressed. The play will explore the issues that youth in care have had to deal with from the stigma of being in care to the challenges of an overwrought system. The goal is to help other youth understand what their peers might be experiencing and to give voice to kids in care so they don’t feel alone. 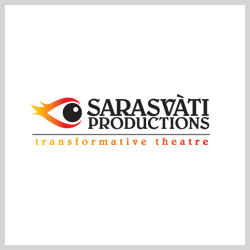 The play is truly the story of the youth themselves and in Sarasvàti Productions’ tradition, they worked closely with community groups to realize the work. The Cast of Giving Voice! 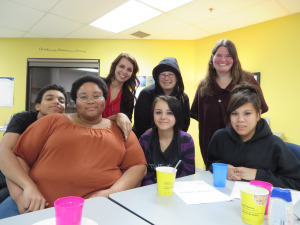 Sarasvàti Productions teamed up with VOICES: Manitoba’s Youth in Care Network to create the play. It was developed in workshops throughout the summer of 2013, which included work with over 30 youth in or from care. It was then previewed at FemFest 2013 as a staged reading followed by test presentations in select schools. After fine-tuning, casting an amazing group of young actors and incorporating video – we are all ready for a full tour of Winnipeg and area high schools. If you or someone you know might be interested in hosting the tour feel free to check out the details in our one-pager and tour specifications document below or contact us at info@sarasvati.ca . Jail Baby was created in partnership with the Elizabeth Fry Society of Manitoba after recognizing the need to share the stories of incarcerated women and women in and out of the justice system. It is the culmination of three years of drama workshops in correctional institutions, as well as research and discussions with those on both sides of the justice question. Jasmine bursts into the world unlike your typical new born child and is anointed a “jail baby.” Born in prison, raised by a mother who revolves in and out of the correctional system, tossed in and out of foster care, Jasmine is destined to become one of society’s monsters. When she finds herself pregnant and facing her most serious charge yet, Jasmine is horrified at the thought of having her unborn child repeat her life of despair. 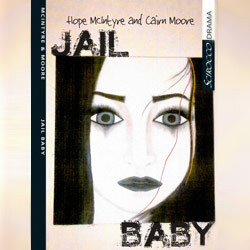 Through a series of hilarious parodies, the myths of prison life for incarcerated women are presented and weaved together with Jasmine’s journey. From bad prison B movies to Kangaroo Court, the ensemble of characters turn common beliefs on their heads in order to make the audience question their preconceptions of criminalized women. The play has been published by Scirroco Drama, click here to purchase. We were excited to premiere this original work, which combines video, music, dance and theatre to explore the notions of truth and justice. The truth can only remain buried for so long. It has a habit of coming back to haunt us. 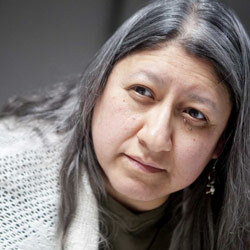 EDEN is a bold and compelling new Canadian play written by Winnipeg-based playwright Hope McIntyre. It combines the style of writers Caryl Churchill and Harold Pinter with its futuristic political bent. It is an exciting piece not only due to its epic nature, exploring three generations of characters in a futuristic dystopia, but also due to the large cast size and unique production demands. 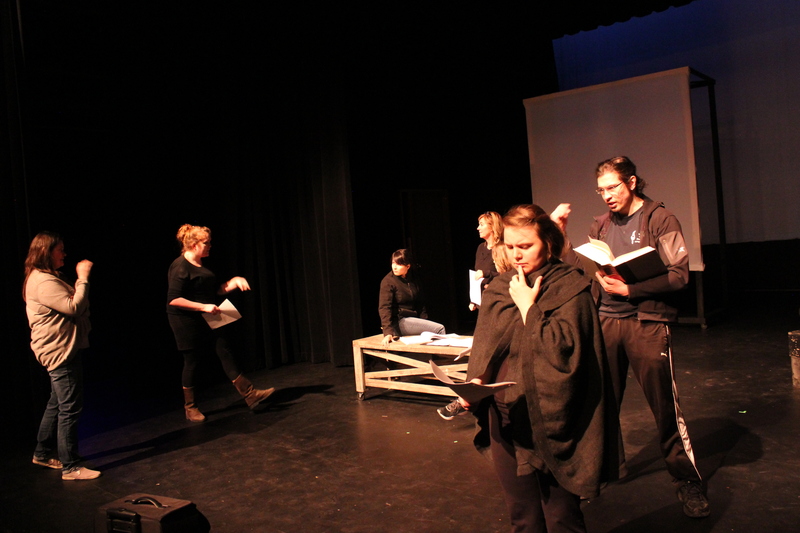 It is an interdisciplinary theatre experience which pulls from many cultural backgrounds. Above all it is a puzzle where the truth is explored from many vantage points. A collective creation exploring women in the virtual age. The ensemble researched women’s relationship to technology and cyberspace; and incorporated improvisation, collective writing and live video feed. Early writing for this piece was used for aten-minute production at The Festival of Original Theatre and it is now being developed into a one-act play entitled VIRTUAL WOMYN. Originally produced at the Winnipeg Fringe Theatre Festival (2003) with Jessica Burleson, Mylee Nordin, and Heidi Malazdrewich. Created with the input of four performers, director, dramaturge, sound composer and consulting visual artists; this theatrical work used movement, projection, puppetry, song and text. The piece was previewed at the Windsor Theatre (Sackville) and premiered at BrechtFest in Winnipeg (2002). Based loosely on atrue story, HUNGER is about a woman’s struggle against political and emotional turmoil as she undertakes a hunger strike on the steps of the Guatemalan Capital Building. Performances raised funds for Amnesty International and the Canadian Centre for Victims of Torture. Performed at Theatre Passe Muraille’s Backspace (2000) and Colin Jackson Studio (2001), published in International Plays for Young Audiences (Meriwhether). Three women are shipped to the New World (Canada) on a convict ship from Britain. All three women are transformed and find that their lives are changed forever. Produced at the Festival of Original Theatre (1999) and Alumnae Theatre Studio (1999), published by One Act Play Depot (http://oneactplays.net).